Straight from Buenos Aires in Argentina comes a roar of thunder through a night as black as tar. 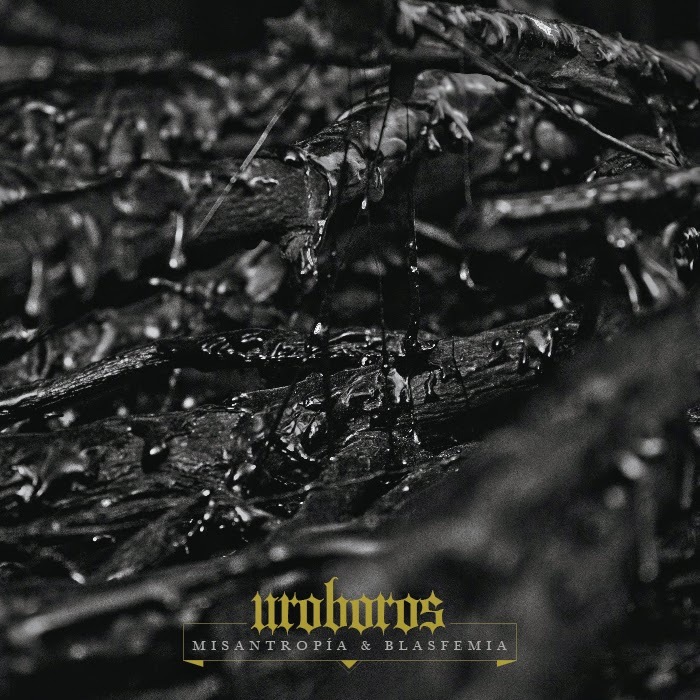 This uproar from the underground go by the name Uroboros, and right off the bat their debut duo of EPs make most other newcomers of the genre seem like taciturn murmurs in comparison. Respectively entitled Misantropía & Blasfemia and Herejía & Exilio (A translation shouldn't be necessary), these EPs show merrit both as a whole and as two separate outbursts. 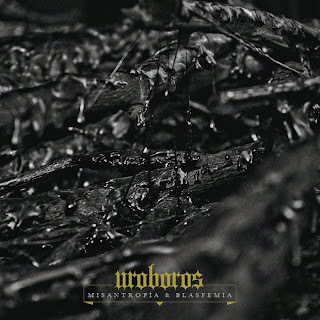 While the first EP, Misantropia & Blasfemia, shows reckless ruthlessness that culminates in the 10 minute opus En Las Fauces de Uroboros, the follow up EP - released only a few days later - shows another side of the band which ends in a distressing piece of obsidian acoustics. Mantar showed us in 2014 that the mammoth riffs of sludge with a deathly approach can easily become tired quicker than a fat person competing at the Olympics, even if sternly powerful and delivered with an abundance of energy. But through greatly varying songwriting, spanning both no-compromise death-infused sludged with all the heavy riffage and recklessness that comes with it, and sombre acoustic tones with a considerable ambient presence, the Argentinians burst the bubble of boredom that so often plagues these types of bands. The powerful riffing that serves as the duo's hallmark is underlined by excellent drumming that is neither too tight or too sloppy. 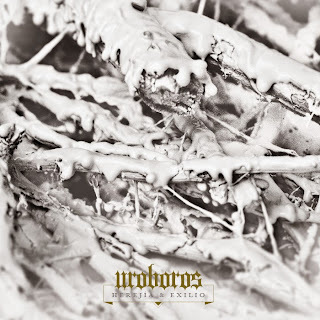 All the little imperfections makes the music come alive - Uroboros show it's not about soaring production with lots of head room, it's about songwriting. And the songwriting rules. There's not one single beat squandered on lacklustre filler, and the focus on huge cyclopean riffs comes with a massive payoff. In many ways they subscribe to the same school of doom as groups like Conan, using minimalistic and beastly riffs to create a feeling of energy even if the tempos are slow. They show that a the coupling of death metal and sludge, while done many times before, can still be well done by newcomers. Their hearts are as black as coal, their sound is as rough as a savage beating. 8/10 guitars.